Pop quiz! When event marketing is a major part of your promotional plan, and you want to get the word out about your new line, what’s the best investment you can make? Answer: an inflatable product replica, of course. 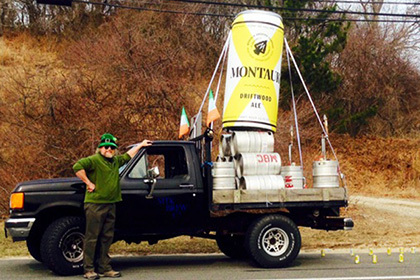 When traveling the marketing circuit, Montauk’s new cold-air inflatable Driftwood Ale beer can makes an impressive stand at beer festivals, beer-tasting events, trade shows, parades and other events. Looking for a creative way to launch your new product? Browse our online galleries!